At some point during my second 7+ hour flight (from Amsterdam to Rwanda), I came to a very stark realization: I’m going to Africa. Which, at the time, wasn’t something I thought too hard about. I was too busy doing my damnedest to stay awake for the 29-hour transit via coffee, heavy metal music, and dark and disturbing movies that made me not want to go to sleep (see: Girl With The Dragon Tattoo). That changed when we actually got out of the airport and into Entebbe. For the first couple minutes, I was in such a daze I was just happy to remember there was a world outside of planes and airplanes, which I was starting to forget. There were dirt roads, east African accents around us, and the heat of course, but what hit me the most was the SMELL. Don’t know why, but this whole trip didn’t exactly hit me until the smell. It was a mixture of exhaust, heat, fruit, and dirt, and was quite pleasant. On top of that, the smell was something completely new to me. My parents told me we visited Africa when I was younger, but I had never had an experience like this before. 29 hour travel, more coffee and adrenaline in my system than Mikael Blomqvist during the climax of the book (see: Girl With The Dragon Tattoo), and being on a trip that was less about pleasure and entertainment (see: sightseeing) and more about learning. So far haven’t learned a whole lot yet… except that jet-lag has double the effect in a tropical environment (I have, at last count, tripped due to falling asleep while walking nearly five times), that you can have fun anywhere as long as you have toothpicks, a glass, and an opponent, that Irish clovers (like Irish people) seem to be everywhere, even here in Uganda, and that mosquito nets protect against the bites but not the annoying buzzing sound flies feel it’s their necessary and religious duty to make at 3 in the morning. 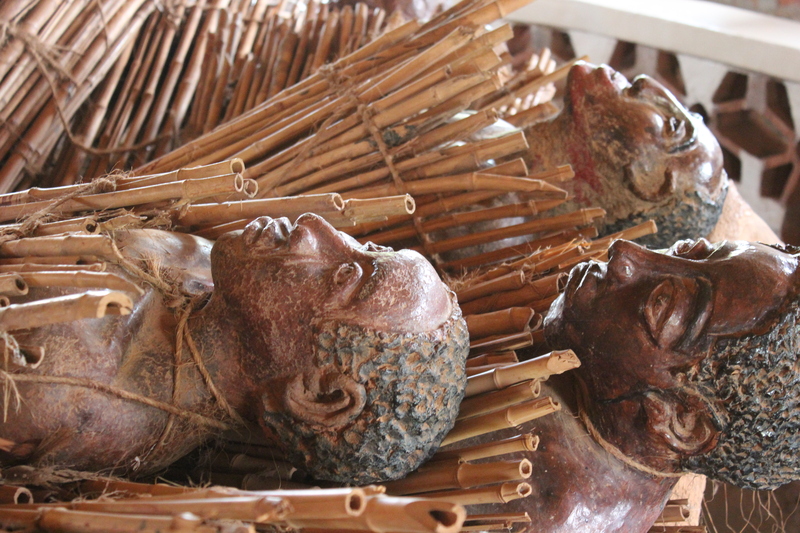 As well, we learned the story of the Uganda Martyrs earlier today, which was pretty interesting. It seems this nation has had a very long history of bloodshed, more than the rest of the world is aware of. My hope is to spend more time learning about these kinds of conflicts, and hopefully come to answer some of the questions I’ve had lately. Haha my experience to South Africa was very similar! Seriously that Africa smell will bring you back EVERY TIME you’re at a bonfire. Guaranteed. Great post.